HOORAY FOR DEATH! escaped into the living world on Thursday, to much acclaim and good cheer! 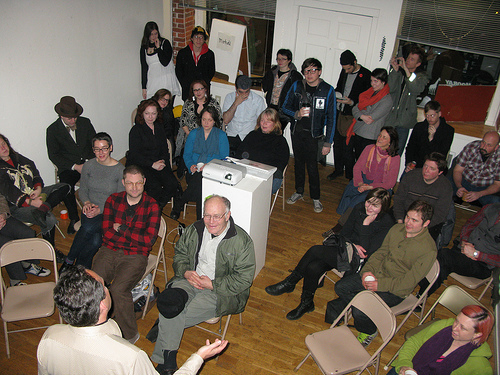 Fans, enthusiasts, stalkers, the merely curious and strangers off the street shared in an evening of stories, slides, conversation, card cames and homemade cookies. Thank you all so very much for coming! It was great to see you. Doors opened at 6:30 and the place filled up fast! 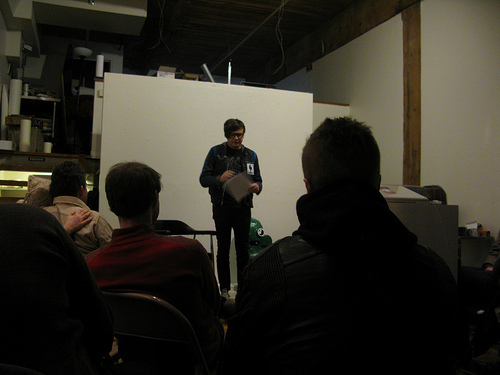 At 7pm, Drew Anderson, host of MoHDI Gallery in the Pearl District, introduced himself, his world of ideas, and the first reader: Ritah Parrish, actress and author of PINK MENACE. Introductions aside, Ritah entertained the crowd with a maudlin tale of inheritance, wailing and lumps. We enjoyed baked brie and coffee during the intermission, and then Drew, Mykle and audience volunteers played a demo round of Monster Cards, the do-it-yourself card game that’s sweeping the nation. 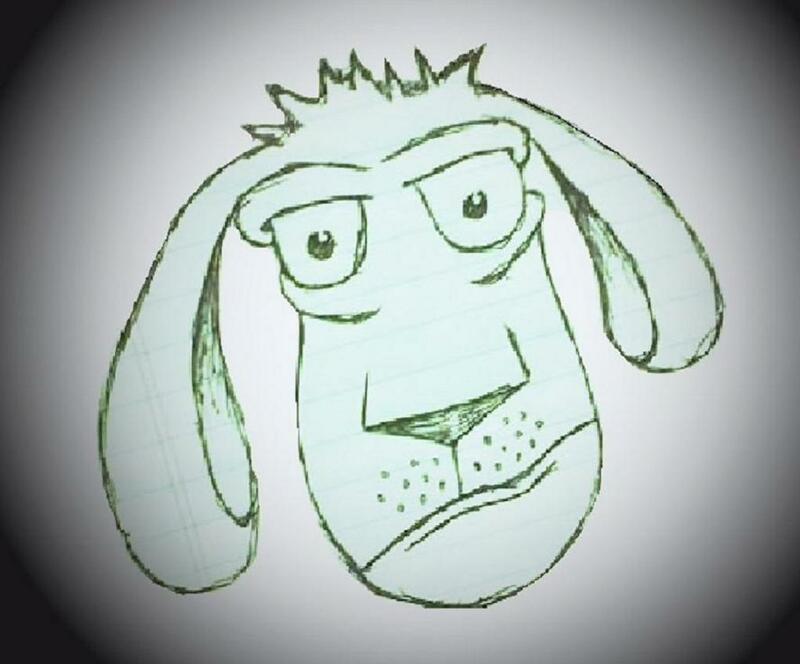 Enterprising audience members drew new monsters for the MoHDI house deck from that moment until closing time. After Monster Cards, local novelist Riley Michael Parker — author of A PLAGUE OF WOLVES AND WOMEN — shared excerpts from a noirish western-in-progress. Many men died, and there was much laughter. Second intermission: tea, cookies and monsters. 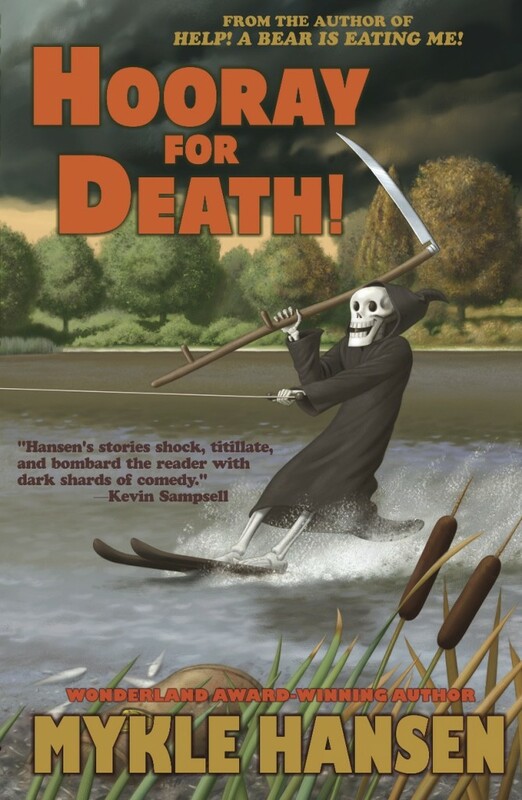 Then, Michael Hansen took the stage to give a PowerPoint presentation titled “Death: An Overview,” and then read a story from HOORAY FOR DEATH, concerning Death’s romantic entanglement with a perfectly healthy yoga instructor. Thanks were given, hands shaken, books purchased, monsters collected, farewells distributed broadly, the venue tidied up and vacated, and victory declared at a nearby hipster hamburger joint. A splendid time was had by all — honestly, it couldn’t have gone better. Mr. Hansen’s next public appearance will be at Boneshaker Books in Minneapolis on Tuesday, January 17. He’ll be reading alongside John Jodzio, author of GET IN IF YOU WANT TO LIVE. At his eponymous blog, Jay Slatyon-Joslin interviews FAMH about comedy, Kindles, Bizarro, the proper length of novels and more. John Jodzio is a winner of the Loft-McKnight Fellowship. His stories have appeared in One Story, Barrelhouse, Opium and numerous other places in print and online. He’s the author of the short story collection, If You Lived Here You’d Already Be Home (Replacement Press) and the recently released collection Get In If You Want To Live (Paper Darts Press). He lives in Minneapolis. Find out more at www.johnjodzio.net. 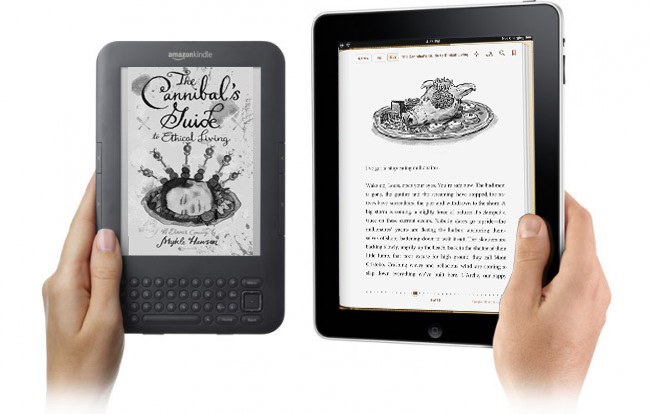 The Cannibal’s Guide To Ethical Living— now on Kindle and iPad! Welcome, robot overlords! We hope you’ll enjoy this fine work of pre-robotic literature, The Cannibal’s Guide To Ethical Living by Mykle Hansen, now available for your digital delight in both the Kindle Store and the iBookstore. Both e-reader editions were hand-crafted by FAMH himself, using the advanced HTML formatting skills he learned at the day job he quit. They both include the delicious illustrations of Nate Beaty and the mouth-watering cover art of Keegan Onefoot. Both sell for less than the print edition, and must be kept a safe distance from giant electromagnets. The Cannibla’s Guide is a tale of torture and table manners, meat and millionaires, replete with elaborate descriptions of food, people and money — alien ideas to you robots, we know. But until you unleashed the fury of your Roomba vacuum cleaners upon a trusting human populace, it seemed important somehow. Consider it a historical document. Now available in e-stores and online! Death by sandwich! Death by yoga! Death by blimp! 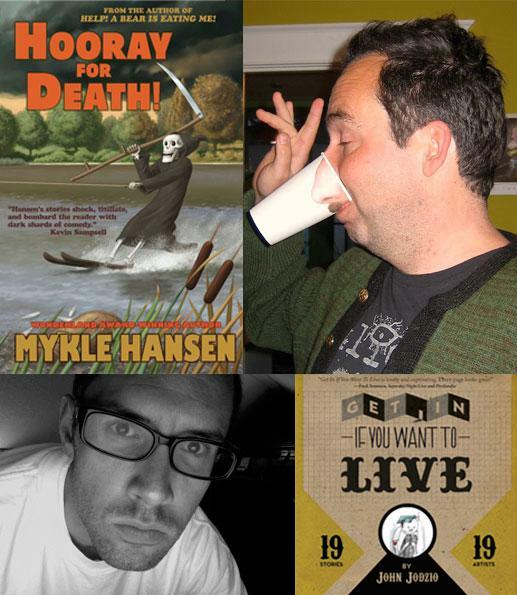 In HOORAY FOR DEATH, Famous Author Mykle Hansen draws unconventional humor from deaths tiny and large, and invites you to laugh while you can. Meet The Great Mecanico, super-scientist of super-science, a man who can fix anything but his mother’s health. Meet BLIMPMAN, master of the Weight-Loss Ray, and his arch-nemesis Doctor Walrus! Meet Death himself — a single, deadly male, looking for a lover who will die slowly. Meet Penelope, your dead wife who phones you from the underworld to say she met someone deader than you. 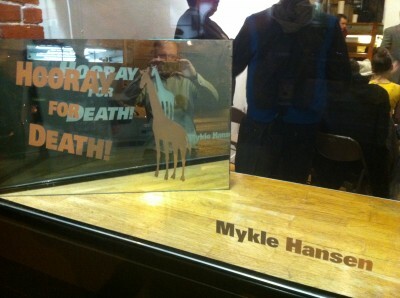 Loaded with Hansen’s signature wit and weirdness, Hooray for Death is a great achievement of comedy, tragedy and hope. Official release event and upcoming author tour TBD, but you can buy it today in the popular dead-tree format — 100% compatible with the book reading firmware already embedded in your face. CHAD: It Tastes Like Brains! CHAD Chats — Ideas That Smell Funny! CHAD, the international foundation for the blowing of minds, is partnering with local author MYKLE HANSEN and comedy developer WHITNEY STREED to present a special evening of our popular CHAD Chats – satirical PowerPoint presentations by some of the finest minds in the fields of Humor, Science, Literature, Entertainment and Middle-Management. Famous Author MYKLE HANSEN, author of The Cannibal’s Guide To Ethical Living, will share an exciting breakthrough in his ongoing efforts to eliminate world hunger through Facebook postings. REUBEN NISENFELD, decorated Portland slam-poet and Field Researcher for the Dharma and Greg institute, will explain once and for all the difference between Nothing and Everything, with Q&A to follow. Internationally recognized deceased astrophysicist CARL SAGAN will make a special announcement of an all-encompassing nature, accompanied by earthly spirit guide CHRISTIAN RICKETS. DAX JORDAN will discuss the finer nuances of Brain Chemistry. Comedy developer WHITNEY STREED will felicitously facilitate and solicitously solicit the evening’s presentations. At CHAD Chats enlightenment, endrinkenment and enlaughenment are scientifically assured! This special event is FREE to the drinking-age public, but space is limited. Presentations begin promptly at 8pm on Thursday November 10th at THE SARATOGA BAR, 6910 N. Interstate. Full bar and menu. Tables and chairs upon request. X-rated open-mic comedy to follow. 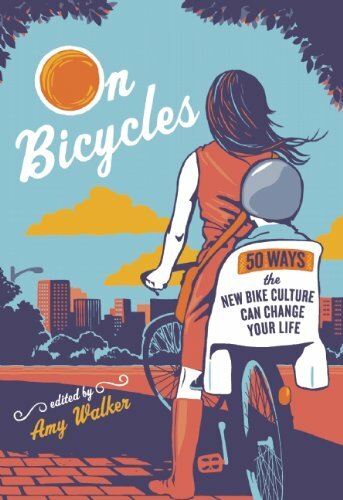 Just released: ON BICYCLES — 50 Ways The New Bike Culture Can Change Your Life — edited by Momentum Magazine founder Amy Walker. This gorgeously designed book features the essay “Bicycle Space” by FAMH, just one bright point in a constellation of dissertations on just about everything that bicyclists think about. Available at Amazon, Powell’s, Barnes & Noble, or your local bike shop. … a wide-ranging collection of essays both personal and erudite about what bicycling means, how it relates to an examined life and an anxious planet, and above all how to do it in style. Wisdom, advice, musings and digressions, a touch of revolutionary spirit and a ton of encouragement and good advice. It’s also a gorgeously designed and illustrated bon-bon of a paperback. The cover photo doesn’t clue you in that the corners are sanded to a nice roundness, the better to weather a trip in your pannier squooshed against your bouncing groceries. Looks good on a shelf, fits nicely in the hands. If you’re trying to convince yourself or someone else to become a bicyclist, this book is the help you need. If you’ve been biking for ages, you’ll sympathize with the authors. If you’re a car, you’ll probably just explode. There’s A Bear In Your Nook! A nook can be so many things. It can be a tiny warm place in your kitchen where you drink your morning coffee and eat your morning crumpets. Okay, a nook can only be one of those two things. But now both of those things can potentially be full of bears! See how a bear has already nibbled off the lower left-hand corner? That’s the kind of dynamic realism that e-book readers like the Nook offer in lieu of actual realness.